Bright and bold for a new season. 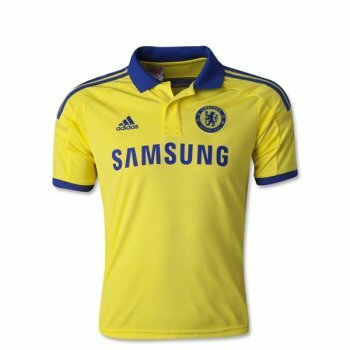 Chelsea new away is bright yellow with blue open collar. Embroidered Chelsea team badge. Embroidered adidas logo. Screened sponsor design. ClimaCool. Mesh ventilation. Polyester.